And drink, of course. I'll come to that later. 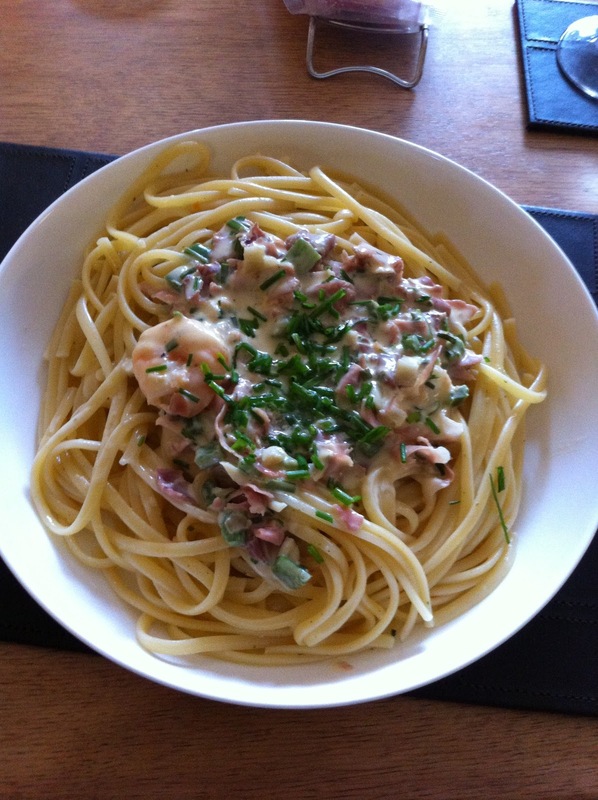 But first, have you ever thought how wonderful it would be if someone went shopping for you, bought precisely what you needed to make a wonderful meal in just 30 minutes and delivered it to your door leaving you to do nothing more than, well... cook it. And eat it, of course. I suppose you might be thinking wouldn't it be wonderful if they cooked it too (and cleared up afterwards) but you can't have everything. 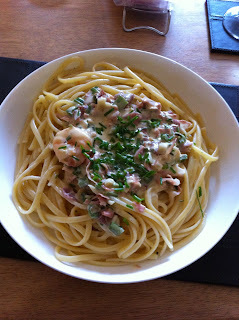 Besides, I actually quite like cooking. But I'm hopeless at planning. 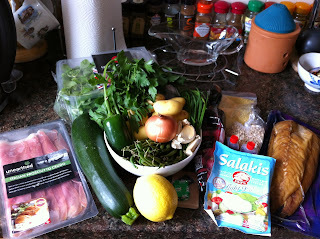 I love food programmes and recipe books but they make no impact on my meal planning and buying. I know, I know, it's the tail wagging to dog but, well... that's the way it is. 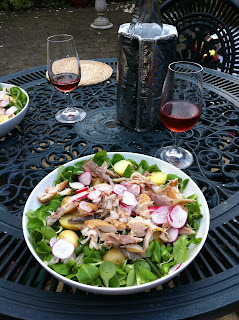 More Nigel (Slater) than Nigella. Anyway, the point is there is just such a service. Hello Fresh ('Rediscover the joy of cooking') promise that every week they'll 'send you all the fresh ingredients you need to prepare delicious recipes.' 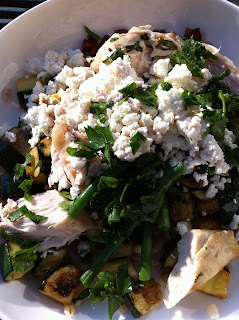 So when they asked a while ago if I'd like to try the service, how could I refuse? 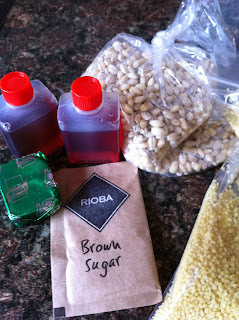 Well, ok, I might have had the brown sugar but you get the drift. I really can't fault it. I suppose if you sourced and shopped for everything yourself you might be getting it slightly cheaper and there are delivery costs of course - although they say shipping's free we all know that the costs are covered somewhere. There's no such thing as a free lunch. Well, actually, there is. In fact there were three of them. I didn't pay as they asked me to try out the service so I can't really comment on the overall cost. What I can tell you is that not only were the meals delicious and easy to prepare I'll be paying - you know, with real money, mine - to use the service again. Not often, maybe; just when I lack a little inspiration. Any set of instructions that includes steps like "Crack open a bottle of Côtes de Provence Rosé (or Ribena if it's a school night)" - is my kind of recipe. 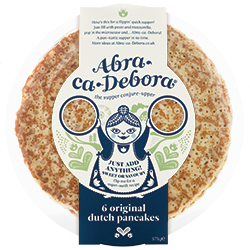 And on the subject of making life in the kitchen easy, a couple of packs of Abra-ca-Debora ready-made pancakes, which have just been launched in the UK, arrived the other day. And they've gone already. Well, why wouldn't they? If you've got any room left, may I offer you in un petit fromage? Just a teensy-weensy wafer-thin morsel? 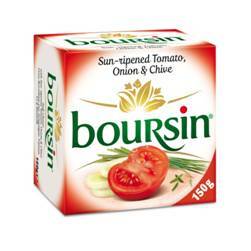 Only, Boursin ('the UK’s number one branded soft speciality cheese') has recently added a delicious addition to it's range: sun-ripened tomato, onion & chive, to be precise. Which brings me to the wine. Or rather, it doesn't. Because in spite of dropping frequent hints and tweeting pictures of my varied range of tipples no-one has so far been in touch asking me to try their range of organic cider or vintage grand cru champagne. Mind you, there is my liver to consider. 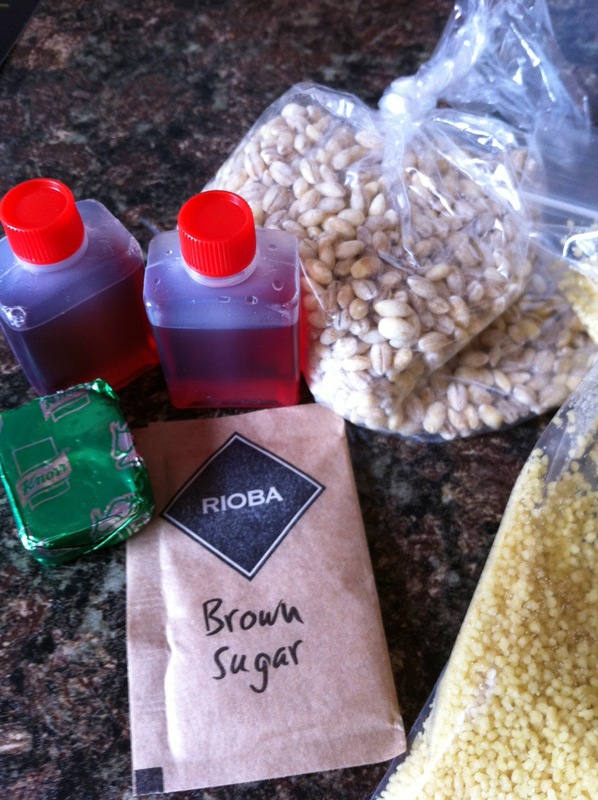 But finding a non-alcoholic alternative beverage to accompany good food isn't easy. Welch's sent some of their '100% juices - simple and delicious, just the way nature intended' which went down very well (they make an excellent cocktail ingredient) and I see they've now added a selection of sparkling juices to their range, which I've yet to try. My wife has a service like that. Me.